For more information on EDT only you can download the brochure here. 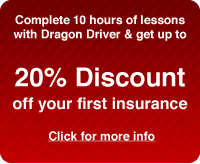 The course must be supported by an elected sponsor or extra lessons can be taken with the ADI. Some students may find difficulty in completing the course in 12 hours whilst others may get through the course more quickly. If difficulty is found in completing the 12 lessons in 15 hours and the student would like additional lessons to improve their standards a special hourly rate of €35 per hour for manual cars and €35 for automatic cars. Please note as per the RSA EDT booklet the following must be understood. How should I prepare for EDT Lesson 1? the information on preparing for safety checks. What is the objective for Lesson 2? During your second lesson, your ADI should make sure that you can position the car correctly on the road for the actions you are about to take. What is the objective for Lesson 3? During this lesson your ADI should make sure that you use key observational techniques in low-risk driving situations such as in quiet residential areas, quiet local and rural roads. What is the objective for Lesson 4? During this lesson your ADI should make sure that you: know how to scan the environment for potential hazards; and can identify and respond appropriately to potential hazards. What is the objective for Lesson 8? During this lesson your ADI should make sure that you can drive with due care and attention where there is a significant volume of other traffic. What is the objective for Lesson 10? During this lesson your ADI should make sure that you can regulate and maintain good control over the speed of the vehicle in more complex or challenging driving situations. What is the objective of these Lessons? Spend 3 hours (2 x 1.5 hour) showing the skill to independently drive with some commentary to the instructor over a course which includes test routes and national routes. The instructor will be looking to assess your ability to when you are ready to apply for your test. Please also note you will still have to wait the 6 months probationary period from the first issue date of your permit before you can take the test.